We are proud to introduce this stunning mirrored to our collection. This is defiantly a statement piece and would look amazing in a living room or bedroom. 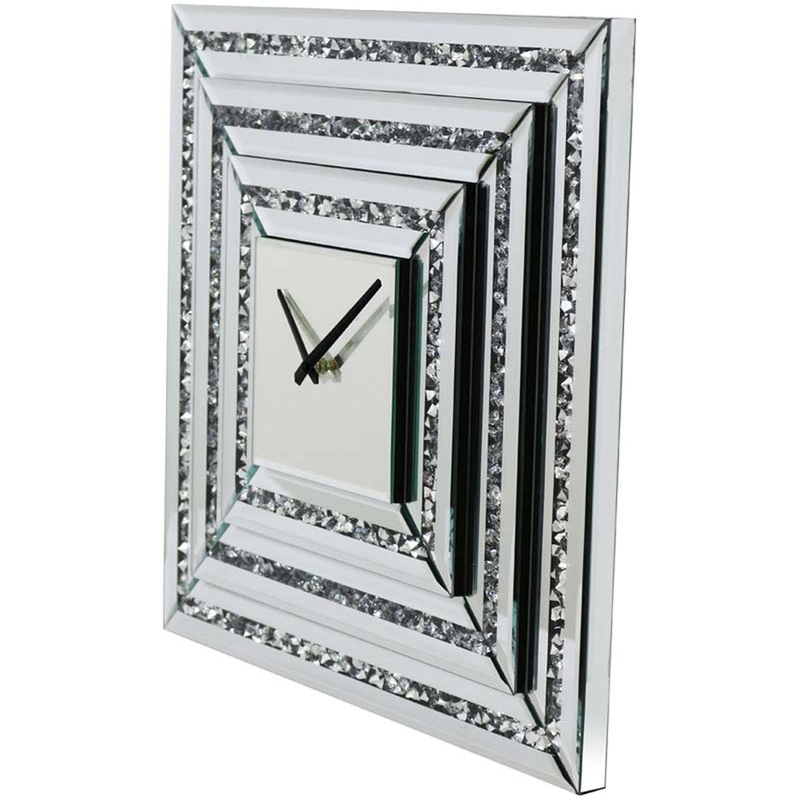 The mirrored glass and crushed diamonds in the frame definitely make this piece a luxury item, and although the frame is very glamorous, this wall clock still has a really minimalist face. Fill up your walls with this Mirrored Square Clock and be sure to impress.